Mod that fundamentally alters combat by adding the ability to parry attacks with weapons, pain reaction on successful strikes, counter-striking, and exploiting vulnerability. Weapon parry now causes causes configurable stamina and health damage to character with the smaller weapon. Changes to stagger to allow flesh spells and wards to contribute to preventing stagger. Changes to script cleanup, scripts are now removed from actors more efficiently, originally they were only removed on death, now they are removed when they actor they are on is unloaded. Optimizations to cloak effects and certain condition functions, other various small optimizations and clean ups. MCM menu: SkyUI version 3.0 or higher is required to access the Mod Configuration Menu, which allows options pertaining specifically to this mod to be edited. I recommend starting a new game, or if installing on an existing save with AC 1.56 installed remove the old AC mod, clean your save with a save game cleaner and then install the new version. Some of the information on Brodual's video is not up-to-date anymore. Action Combat is built around simple premises that make a big impact. 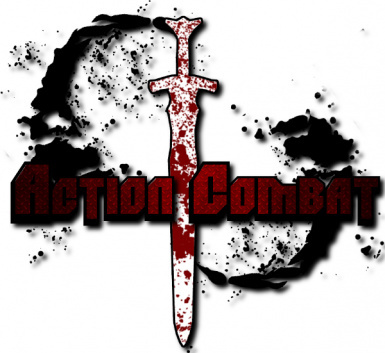 Action Combat's sister mod is EHSE: Reactive Combat. If opponents strike at the same time, the hit will be parried. There are two types of parrying: offensive and defensive. Offensive: the enemy is hit first, their attack will be interrupted and they will take a small amount of damage. The damage taken is calculated as if one was blocking. Parrying a larger weapon with a smaller one will result in stamina damage based on the difference in weapon size/type. For example, parrying a warhammer with dagger will result in a large amount of stamina damage to the person holding the smaller weapon. There is also additional damage done to the person holding the smaller weapon. The amount of stamina and health damage is configurable in the MCM. Power Attacks have more strength than normal attacks when it comes to parrying as well, so I wouldn't try to parry power attacks if I were you. Additionally, if your stamina hits zero as a result of a weapon parry it will cause a recoil. Please comment on this effect! Parries can now only happen between the player and an enemy, which means if two npcs are fighting each other they will not be able to parry each others attacks. This was done to avoid scripting overload with many enemies fighting you at once. The only real downside to this is that followers cannot parry either, although I may change this in the future. Now all parry effects are handled by a single script instead of one script for every enemy within the range of the cloak. If an enemy is in the middle of an attack animation, the player may power attack them to initiate a counter-strike. If the counter-strike is successful, the attack will deal 2.5x damage. If enemies successfully counterstrikes the player, they will deal 1.8x damage instead. Regular attacks can initiate a short stagger effect: the duration ranges from 0.2 seconds using daggers to 0.7 seconds using warhammers. Whether or not a pain reaction occurs on regular attacks is controlled by the poise system. Power attacks will apply a stagger effect no matter what, even if the opponent is blocking, or defensively parrying. Power attacks ignore poise. The magnitude of the stagger depends on the type of weapon. When the player or an NPC is staggered, vulnerability triggers. While staggering, all physical damage taken is increased by roughly 70%. Action Combat uses a simple poise system to determine whether a stagger occurs or not on regular attacks. Humanoids have a hidden poise meter based entirely on armor rating. Each hit sustained reduces the poise meter, larger weapons will reduce this meter faster than smaller weapons, and poise reduces faster when low on stamina. When the poise meter hits zero, a stagger will occur. The meter then resets. Since creatures don't have armor, the poise meter is based on their level instead. The Flesh Spells, Oakflesh, Stoneflesh, Ironflesh, Ebonyflesh, now all contribute to preventing stagger, so true mage builds are possible without being subject to a stagger-fest. The spell Dragonhide, prevents ALL STAGGER on the caster. The flesh spells' armor rating stacks with the armor the you're wearing to prevent stagger based on the same formula from version 1.56. Every attack costs stamina. When stamina is low, poise is easier to break and attacks are slower. I have changed it so that the enemies' attack speed is not hurt as much as the player's attack speed when stamina is low. I made this change because the enemies are at a disadvantage when it comes to stamina management, the player can obviously maintain higher levels of stamina more easily, and the enemies will just attack constantly until they have no stamina left and even then they will keep attacking, especially if you have an AI mod installed. So, to even the playing field, the player's attack speed can decrease as much as 40% and the enemies' will only decrease as much as 25%. Version 2.00 implements a Timed Block feature. When the player successfully blocks a power attack within the window of the timed block, all stagger is negated, but to prevent spamming the block feature I have set it up so that you can only perform a timed block once every 3 seconds from the time of your LAST BLOCK NOT YOUR LAST TIMED BLOCK, this means that if you want to be able to block a power attack you can't just stand around holding your shield up, or constantly hit the block button, this ensures that you have to block more tactically. The Timed Block Window, the amount of time after a block that a Timed Block is possible, can be configured in the MCM. I also added a visual effect to make it apparent that a timed block was performed, the strength of the effect can configured in the MCM as well. Skyre, SPERG, ACE, Requiem, Perma, Frostfall:Compatible until proven otherwise. Revenge of the Enemies - adds new abilities to the enemies and that make for an interesting playthrough! fUpdateBudgetMS= and fExtraTaskletBudgetMS= settings by small increments, like 0.1 at a time and using the script latency checker to see if it helps your particular game and setup. Be sure that whatever you set fUpdateBudgetMS= to, that you also set fExtraTaskletBudgetMS= to. For instance, my game I use fUpdateBudgetMS=2.2 and fExtraTaskletBudgetMS=2.2, you may also wish to adjust the iMaxAllocatedMemoryBytes=, this setting is in bytes, not kilobytes, not megabytes, bytes, by default it is set to 75kb which is pitifully low, I recommend adjusting this to at least 1mb or 524288000 bytes, but do not set this very high as it can cause issues that I am not going to detail here. Dont forget to disable logging! How do I defend myself against power attacks? Since power attacks are guaranteed to stagger and create vulnerability it is advisable to always interrupt them rather than block. Bashing is one method to interrupt. The stamina cost of bash has been reduced from in Action Combat. A regular attack can suffice if you are confident in being able to break poise. Counter-striking a power attack offers the best rewards but can be hard to pull off, and therefore may be risky. Now Timed Blocking will prevent stagger as well. Does the heavy armor perk Tower of Strength affect staggering from this mod. Yes it does. In the original game, the perk would reduce the magnitude of stagger rather than the chance of getting staggered. With this mod, as with the original game, it will reduce the magnitude of staggers. This effect is not noticeable with basic attack stagger, but will noticeably reduce the length of power attack staggers. The script does a check of the magnitude of the spell, if the magnitude is higher than 10, then the spell will stagger. This means that basic concentration spells (such as Flames, Frostbite and Sparks) should not stagger, but some higher level concentration spell will. The MCM menu allows one to set the minimum magnitude required to trigger the stagger effect. This is caused by compatibility issues with a few mods that alter spells. If turning off spell staggering doesn't fix this for you, try using the stagger immunity option. Set it at 2 seconds. This means you may only be staggered every 2 seconds. It's a temporary solution, but I'll probably work. Everything from dragon bites to sword strikes, to arrows. The parrying system seems random: sometimes I take damage and sometimes I don't. The person who was hit first will take damage. If I hit someone while their attack animation has not finished, they will take damage. If someone hits me while my attack animation has not finished, I will take damage. How does staggering creatures work? Anything bigger or of similar size to sabre cat or a bear will not be staggered with basic attacks, they can however, be staggered with power attacks. Smaller creatures like wolves can be staggered by basic attacks, provided you break their poise meter. Creatures can only stagger the player with power attacks, and not with regular attacks. How does blocking affect stagger? If a basic attack is blocked, it will not stagger. If a power attack is blocked, it will still stagger. Wards will prevent staggering from spells but not from non-magical attacks. Now, 2.00 Wards do contribute somewhat to preventing stagger since wards added armor rating and armor rating determines stagger. Stamina ratio considers stamina to determine how much of a hit the poise meter takes. Non-weapon attacks do not affect poise: this includes non-power punches and non-power creature attacks. This means that non-weapon physical attacks do not stagger anymore. Magic ignores poise. Power attacks will stagger for a longer a longer period of time than regular attacks. They will break blocks, but blocking reduces their damage and the stagger length. Striking an enemy during their attack animation will parry, cancelling their attack and causing them to recoil and take minimal damage. The player may be parried as well. The damage taken is based on the same damage one would take if blocking. Power striking an enemy during their attack animation will initiate a Counterstrike, dealing 2.5x damage. Enemy counterstrikes will deal 1.8x damage. While staggering, one becomes vulnerable, taking increased physical damage. NPCs loses 700 armor rating while vulnerable, player loses 500 armor rating. This translates into enemies taking 80% more damage while vulnerable and the player taking 60% more damage while vulnerable. Every attack costs 10 stamina, when low on stamina, attack up to 30% slower and poise is easier to break. Stamina regeneration has been increased to compensate. Bash cost reduced to 15 stamina to compensate. 1. In the MCM menu, enable Camera Shake Version. This is how skyrim handles staggering by default for the player. 2. Unload the mod, remove the files. Hello! I want you to incorporate this effect into your combat mod, so you can do crazy things with it. All the forms and scripts in CK are under the prefix EHS(every hit staggers) for this mod, it's a bit unorganized, but I'm sure you'll figure it out. This mod dynamically attaches scripts abilities and perks to NPCs using a cloak, and then using the OnHit() event to do most of the heavy lifting concerning stagger effects. The mod does various checks to see whether the one getting attacked is blocking/using wards, the attacker's weapons, and the type of attack to determine whether to allow to stagger, and if so, the stagger duration. To make the player do a full body stagger instead of a camera shake, I simply added the player to the ForceFullBodyStagger faction. All modders have to permission to directly copy parts of the script and mod. They may alter it and redistribute it in any way they see fit, without having to give me any credit. Banners by the wonderful Epickeenan who decided to help me on a whim. Here's his deviantart page. He was also the one who suggested the name Action Combat. Hokujin: Led the charge on how to better implement the stagger effect, he's the author of EHSE: Reactive Combat. All the other Nexus members who gave me feedback and encouraged me to keep looking for a way to improve Every Hit Staggers until this point. Action Combat incorporates the Brawl Bug Patch in its BSA.